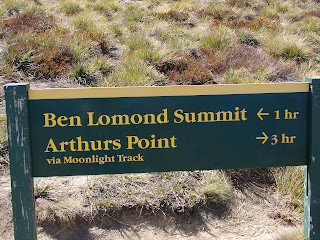 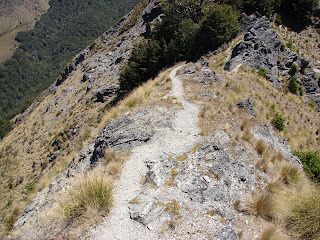 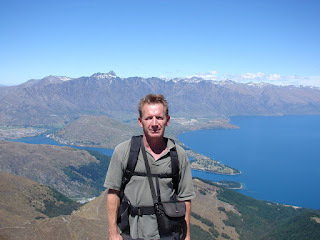 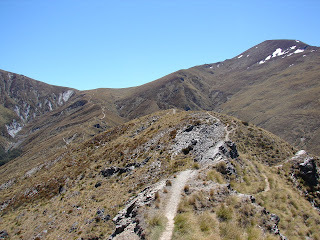 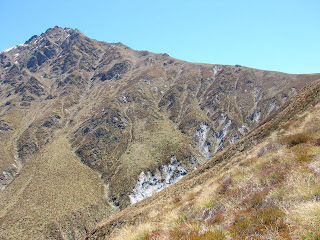 I arrived in Queenstown directly after finishing the Routeburn Tract. 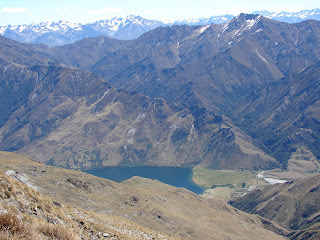 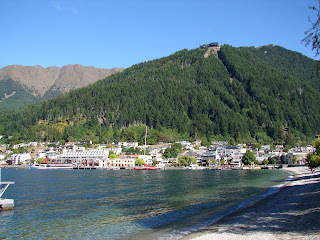 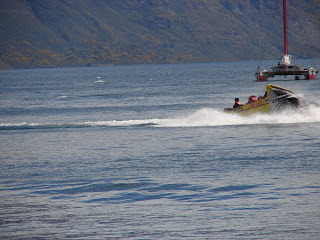 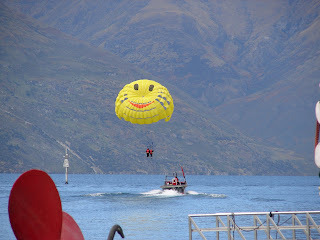 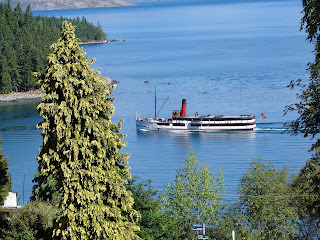 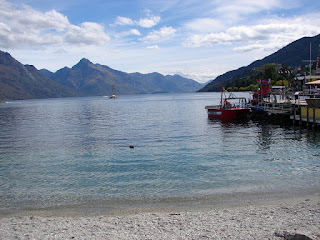 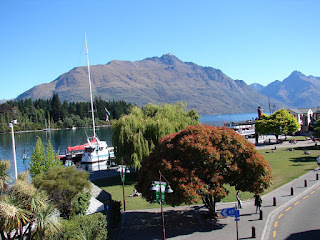 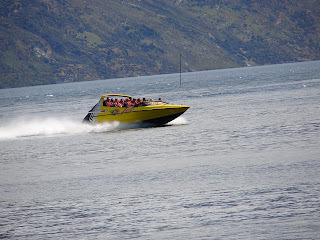 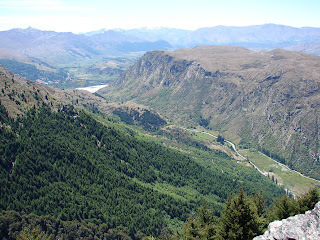 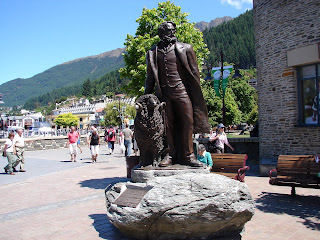 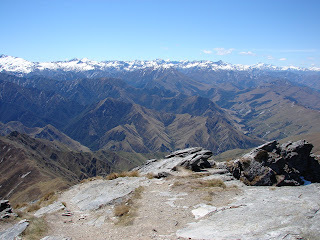 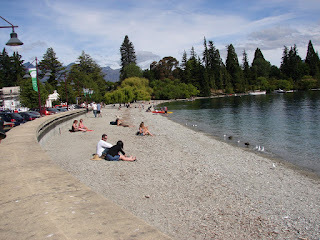 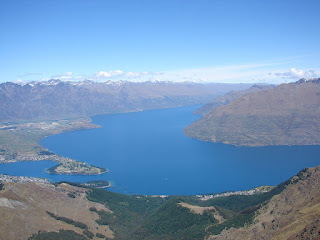 Queenstown has about 8500 residents and is set in the middle of the mountains and on a lake. 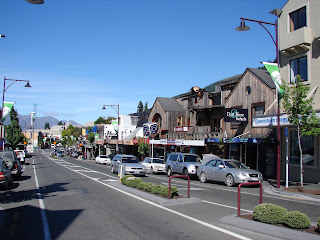 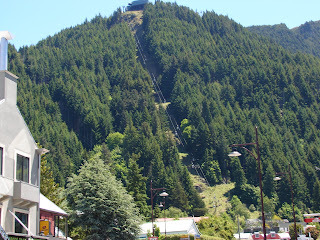 It is considered the "adrenaline capital of the world". 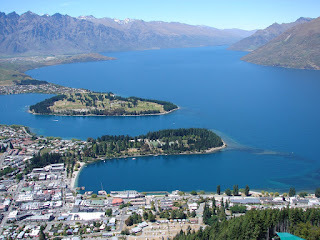 With beautiful weather, great scenery and lots of exciting things to do, there are not many places in the world that could be better. 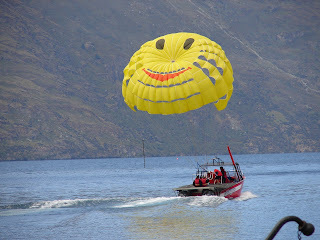 Sky diving, bungy jumping , canyoning, snow skiiing, mountain climbing, downhill luging, parasailing, hangliding, jet boating and the list goes on. 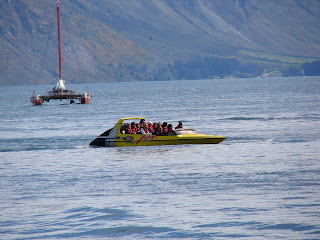 Young people from around the world are drawn here for the energy and excitement. 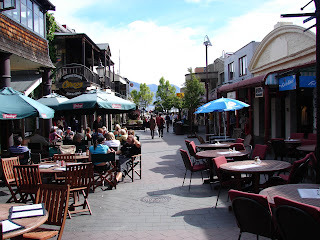 It reminds me of my "previous" favorite place, Interlaken, Switzerland, except cooler. 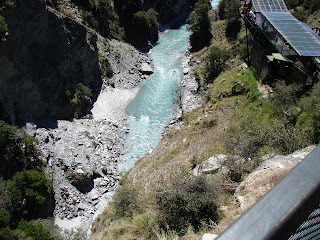 I survived the Canyon Swing which is essentially a 200 ft. bungy jump which turns into a giant swingin arch. 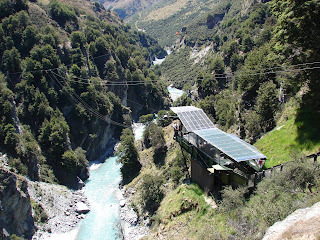 To get a better idea of this go to canyonswing.co.nz It was quite a rush, kinda like flying. 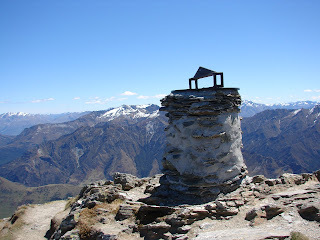 I also climbed to the summit of the Ben Lomond track and the 3 hr climb rewarded me with some of the best views that I have seen in NZ. 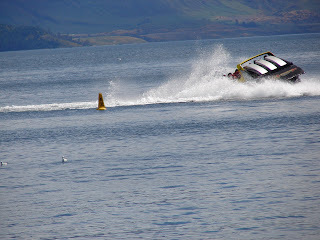 Can't wait to post the pictures.